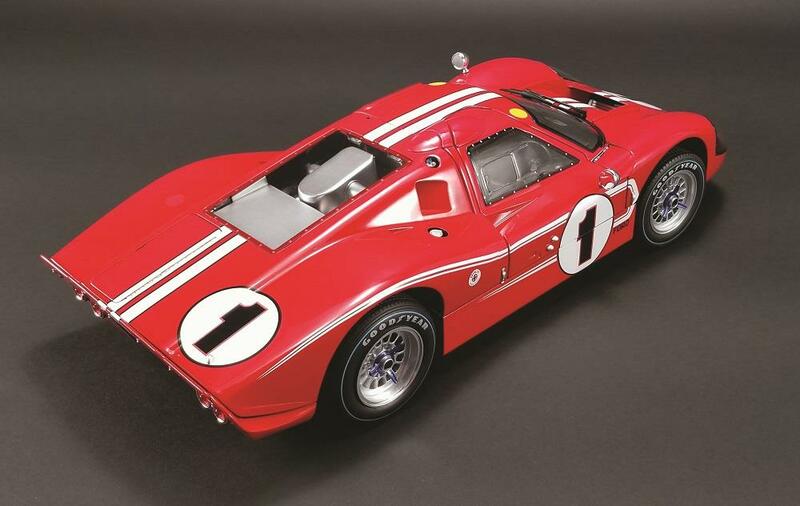 ACME Diecast #1 1967 Ford GT40 Dan Gurney AJ Foyt LeMans Champion 1:12 Scale Replica Model M1201002 - Free Shipping over $99 at California Car Cover Co.
Pre-order now before they are sold out! You are not charged until the car ships. Expected to ship February 2019. 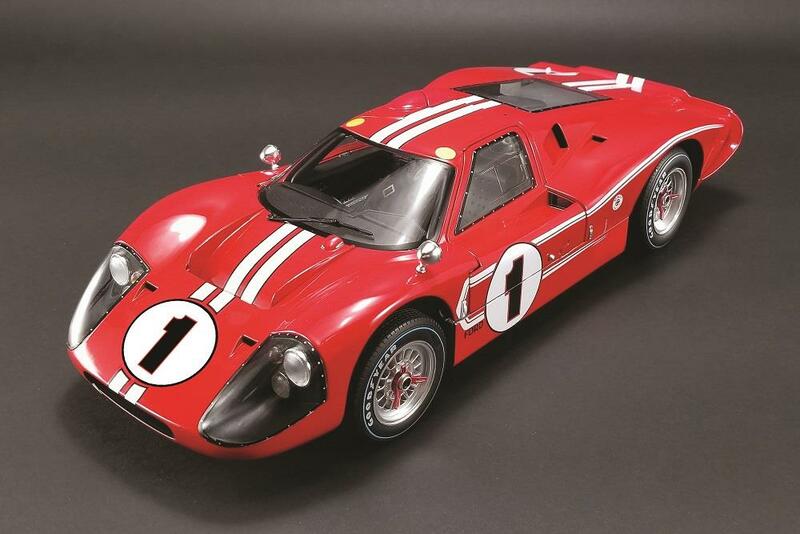 The Ford team had the weapon of choice for the 1967 24 Hours of Le Mans and it was piloted by Dan Gurney and A.J. 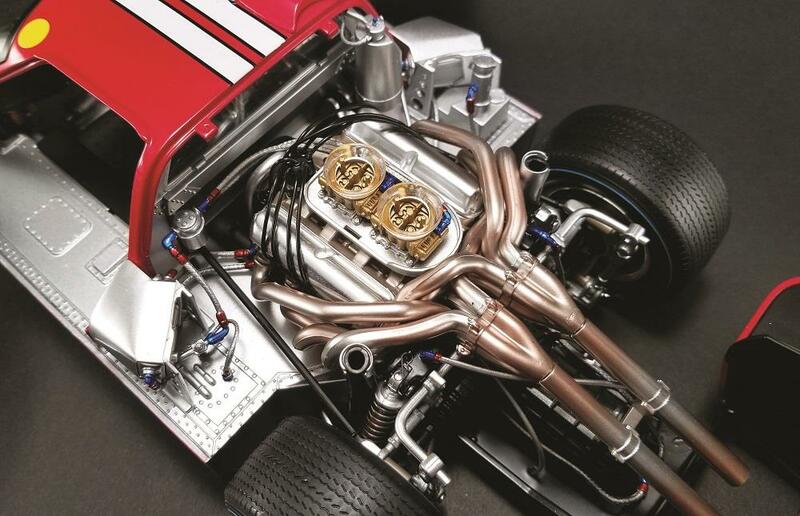 Foyt. The team lead all but the first 90 minutes of the race and defeated the factory Ferrari 330P4 by nearly four laps. 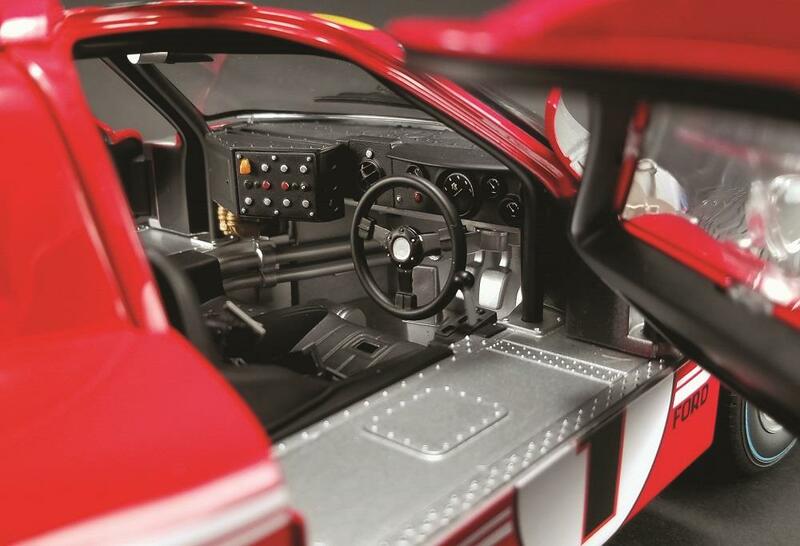 After winning, Foyt spontaneously sprayed champagne while celebrating at the podium, which thereafter became a custom at many motorsports events. 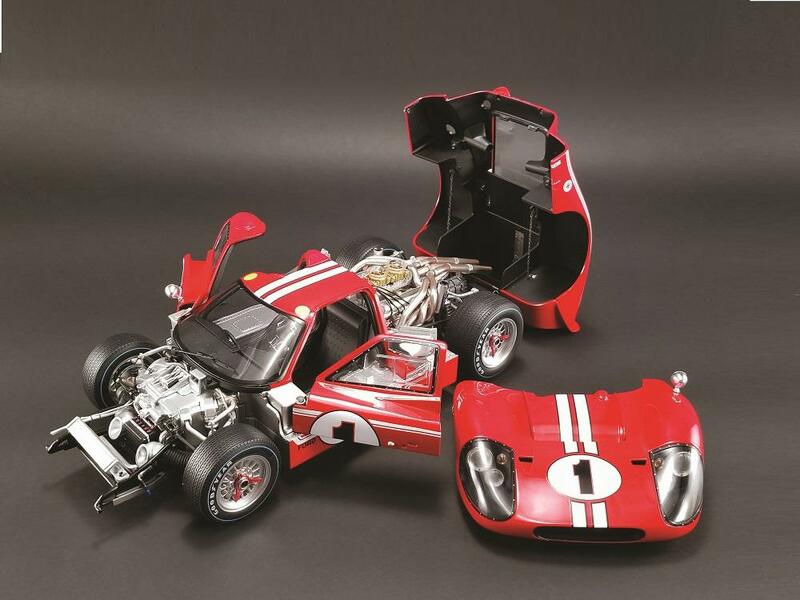 The winning #1 GT40 is captured with this 1:12 scale replica in intricate detail. 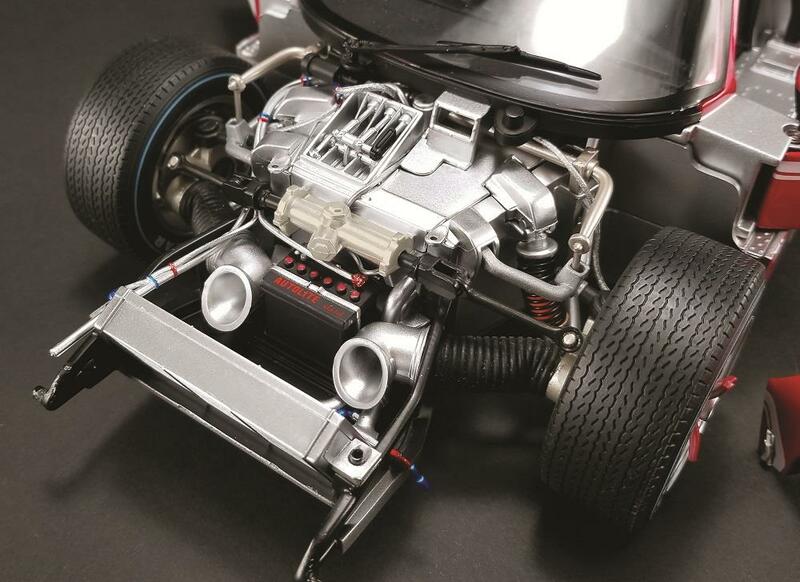 Over 700 handcrafted parts, including a removable nose cover, highly detailed engine bay with opening bay cover, working suspension, extensive interior detailing, and removable wheels and tires. Limited edition, only 350 pieces worldwide. Shipping weight is 12 pounds.